Marion Hughes, President of the Rotary Club of Picton presents a cheque to Barb‎ Proctor, member of the Community Care for Seniors board of directors. The money was donated by the Rotary Club of Picton to pay for the flyer that will be included in the Thursday, January 19th edition of the Picton Gazette. Watch for the bright yellow flyer! Community Care helps seniors live at home. Canada Post employees who deliver mail in rural areas of Prince Edward County are ready and willing to keep a watchful eye out for seniors who might need help. Just for the asking, through a service offered by The Prince Edward County Community Care for Seniors Association, seniors can be reassured Canada Post employees are keeping a friendly eye on them. The year 2017 marks the 33rd anniversary of this partnership program. The Rural Route Reassurance Program is an example of the spirit of co-operation between Canada Post Corporation, the Canadian Union of Postal Workers (CUPW), and The Prince Edward County Community Care for Seniors Association. Debbie MacDonald Moynes, executive director of Community Care says, "it was the Rotary Club of Picton that, in 1984, funded the establishment of this program. By working together, all the partners help make Prince Edward County a safer place for seniors to stay living at home in the community." With the generous support of The Rotary Club of Picton, a flyer explaining the Rural Route Reassurance Program will soon be included in the Thursday, January 19th edition of the Picton Gazette. Barbara Proctor, Director of Community Services for the local Rotary Club says "seniors can feel assured that they remain connected and safe when they choose to live independently in their rural homes. 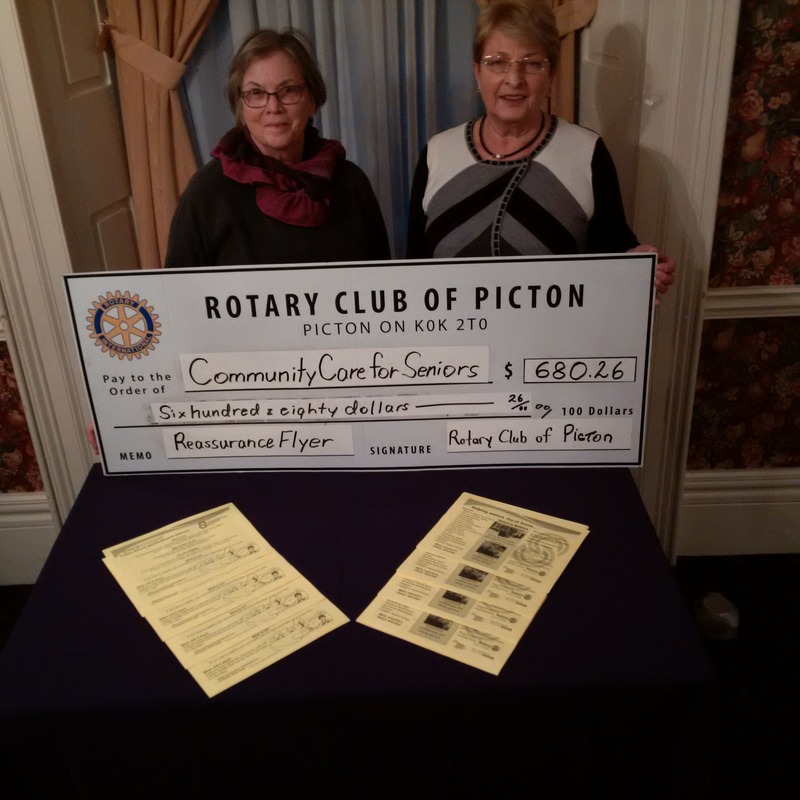 The Rotary Club of Picton is proud to support Community Care for Seniors in such a valuable service."